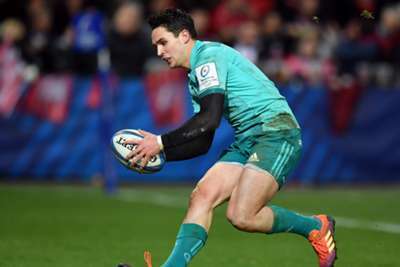 Joey Carbery is "highly unlikely" to be fit in time for Munster's European Champions Cup semi-final against Saracens on Saturday. The Ireland fly-half sustained a recurrence of a hamstring injury in the last-eight success over Edinburgh at Murrayfield late last month and Munster are not optimistic over his availability. There was better news, however, on Keith Earls and Jean Kleyn, who are expected to return to training this week ahead of taking on Sarries at the Ricoh Arena. "It's still highly unlikely [that Carbery will be available]," said head coach Johann van Graan. "We'll just take it day by day and then make a final call later in the week. Like I said last week, we won’t take any chances with him. "If he's ready, he's ready. If he's not, then we won't take that chance."